Discussion in 'Mirrorless Digital Cameras' started by donbright, Apr 2, 2019. For the purpose of honoring these lenses, or in another way, bringing these lenses back to a life of imagry, how would they fair with a Sony A7III? Would I be disappointed with the result after getting accostumed to modern Fujinons with the Xtrans series system? In general, has this become a common practice? I am fully capable of not pixel peeping, I just wonder if the A7III would be worthwhile for this purpose. I like/prefer the way the Nikon system adapter allows you to add the lens data in the camera to be recorded in the EXIF data. Maybe the Sony allows this as well? Below is a link to someone using the 180mm f2.8 Nikkor on a Sony A series. From my personal experience, both the 55/2.8 Micro and 24/2 AIS perform well at 42 MP, using a Sony A7Rii. The 55/2.8 is my go-to lens for copying slides and film strips. 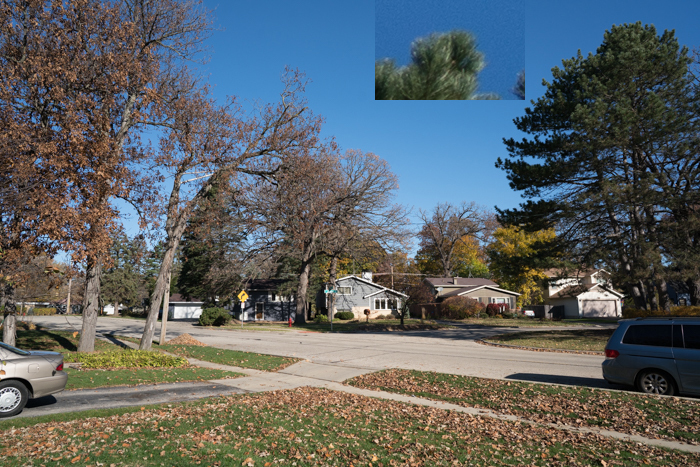 I compared the AIS 24/2 and Batis 25/2 at f/5.6. The Batis is much sharper at the pixel level, but the Nikon does a competent job. This was taken over 3 years ago, using a passive Novoflex F to E lens adapter. There are smart adapters now which nol only pass EXIF information from an AIS lens, but allow control of the aperture via a thumb wheel. The inset is a 100% crop, pixel = pixel. Have several of the lenses on your list - all work beautifully on DF or D750, no adapter required. eskoi.pohjanpalo and iansurita like this. I've been using mine on m4/3 body for several years...all working fine. As long as you don't use them wide open, or pixel-peep if you do, then all of those lenses should hold up just fine at 42 megapixels. After all, it's not that great a step up from the 36 megapixels of a D800 or D810, and plenty of people used, and still use, those lenses with such cameras. Getting the focus bang on at wide apertures will be more of a challenge though. The A7iii has a focus enhancement mode which magnifies the image, digitally, 5x or 12x. With this tool, you can focus any lens, manually, with great precision. Focus magnification can be engaged automatically when a native lens is in MF mode, or with any lens by programming a button. The magnified part can be moved anywhere in the frame. Sounds like the lenses I have cited here not only still have a place in Photography, but at 24 MP is the threshold. I point out the Sony A7III, but now I'm pondering the D-750. A Nikon camera, whether the D-750, or DF might provide a more of a suit as these camera's don't require an adapter as mentioned. I'm shocked that a new DF has held its price all the way from release. Since I own the Df, I'm in no way shocked that it's holding it's price. I often use it with old Ai and Ais lenses and the 16mp definition gets me great results. The major benefit is the weight reduction. Since these lenses don't have servo-focus-VR motors, they are quite light and still very pleasurable to use. Lenses work best on their native cameras. More of their functionality is retained, including shutter priority (aperture settings are communicated) and screwdriver focus. The longer the focal length, the more important AF becomes. They can also be adapted for use on mirrorless cameras, but never as successfully. Many features of a Sony A7xxx must be activated manually, including image stabilization. Lenses are also a lot better now than 30-35 years ago. There's nothing wrong with using older lenses on a modern camera, but I wouldn't recommend buying any more of them. References to "... not pixel peep" intrigue me. That's tantamount to saying "don't look, don't tell." Sooner or later you will slip up and discover modern lenses are sharper wide open than legacy lenses at f/5.6. It's easier to say something doesn't matter if you don't have it. 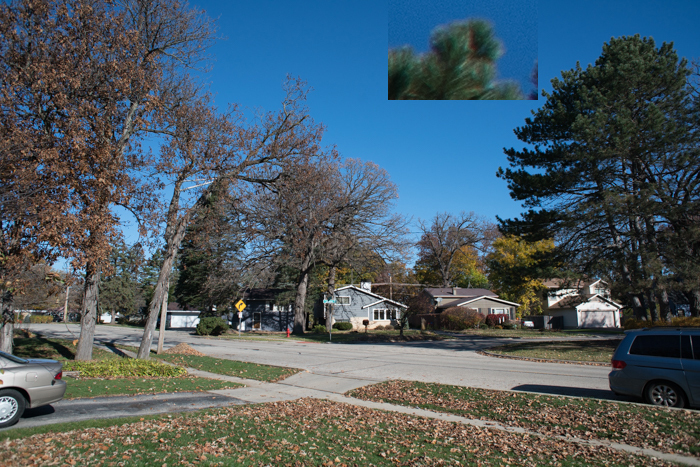 Without image stabilization (or a tripod), resolution at a shutter speed of 1/F is limited by camera shake to the equivalent of 6 MP - postcard resolution. 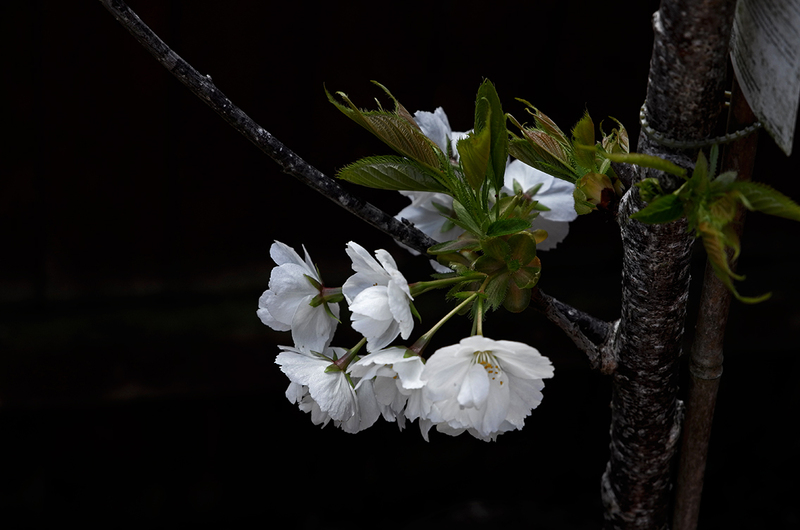 I am also accustomed to the Fuji system, and I have several good manual lenses and an A7. The user experience with the Sony and lens adapters is terrible. It’s slow and awkward and never feels like you’ve got good focus. Since you’ve only got Nikon AI lenses and anything that works on an FA will work on a DSLR, get a Nikon. DF, D750, D800 - they’re all good. I disagree about the "focusing" part. You can focus a lens, manually, on a Sony A7xxx far more accurately than on any reflex camera. If it is not as sharp as you would like, then it's the lens, not the camera. I recently purchased a Fotodiox adapter which transmits all data from a chipped (AIS and up) Nikon lens, including the aperture set on the lens ring. You can also control the aperture (locked at the smallest setting) with a dial on the camera, and focus AF-S and AF-P lenses automatically. It's another piece of gear, but easy to use. AF lenses generally have a short, loose throw, which are harder to focus manually than most manual lenses. I used manual cameras for 40 years, so that part is old hat to me. It's an acquired taste. I should clarify that to 'not pixel peep' is more to a point that as we know, certain lenses have their unique character and as they do I appreciate that character as long as a lens isn't limited by a flaw caused by damage. So I'm now in agreement that, as said, lenses belong with their native camera's and in the case of Nikon and what they have provided technically through their newer camera's, it only makes sense. So, now its on to Df, or D750 the new dilemma. I'm shocked that a new DF has held its price all the way from release. I'm surprised it sold at all to be honest. Heralded as a digital camera with traditional build and handling - it didn't feel like that to me when I handled one at a trade show shortly after launch. It felt frankly lightweight and plastic, without the all-metal 'crisp' feel to the controls. Not even up to the standard of an old FM, let alone an F2 or F3. I'd much rather have an honest-to-goodness plastic-shelled digital camera that didn't pretend to be something it's not, thanks. Yes, yes. My little a6000 has those features as well, and they work great as long as the subject sits still long enough to do all the button pushing necessary. Same with magnified Liveview. But when the subject is moving, or the moment is about to pass, then the luxury of a magnified image is counter-productive. Shooting MF lenses 'on the hoof' and nailing the focus bang on is always going to remain a bit of a lottery. The same "lottery" exists when manually focusing on any camera. It is relatively simple to focus without assistance on a Sony A7xxx, using the EVF only. The A7Riii and A9 have high resolution EVFs, which with practice, can be focused nearly as accurately without focus assistance, and more clearly than with an OVF. If speed is more important than critical focus, that's precisely what photographers have done for 100 years. If you need critical focus, then an MILC or live view (very slow) is the proper tool. The A6000 is a little long in the tooth to use as a basis for comparison. This might just come down to personal preference, but to me, focusing legacy glass on a Sony is just not as good an experience as on an SLR. Older SLRs are better, but a decent DSLR with a focus dot is still better than a mirrorless. If you want to use more than one system’s legacy glass a mirrorless is probably your only good option, but if you only have Nikon and it’s all compatible with Nikon DSLRs it’s a no brainer. Besides, there’s so much good native glass for Sony now, that takes full advantage of the system and eliminates the extra space taken up by the adapter, that you might as well be using if you like the Sony. Much as I wouldn't buy legacy glass for a modern MIL camera, I wouldn't buy a legacy body to continue using those lenses to their fullest. That "fullest" just isn't good enough any more. By and large, those great zoom lenses for a 12 MP world weren't up to Sony imaging standards in 2014. The lenses, along with a Nikon D3 went to my oldest son, who uses them effectively. A complement of Leica lenses made the grade for a while, but gradually faded away as I acquired native (including Zeiss) lenses. Through the use of adapters, you aren't obliged to start from scratch, moving to a mirrorless system. The transition can be as gentle as you needs or budget permit, but once you see what high performance is, there's no going back.
" A complement of Leica lenses made the grade for a while, but gradually faded away as I acquired native (including Zeiss) lenses." Ed. Hmm, Zeiss, lots of contrast , sort of like shiny jewels. Okay, some folk like shiny jewels. The reality is a few more pixels does not make a quality image. Although a pixel count seems to work for Ed. . Hate to be a Leica fan boy, but the cold reality is a Sony lens or Zeiss, will not out perform a Leica lens in the real world. They are just for wannabees. Come on, the photos posted are somewhat cold and flat without any pop.